The Aggies are looking to improve on their 9-4 season under second year coach Jimbo Fisher. Jimbo is a good coach. He’s really good at calling the plays and I believe the Aggies will do pretty well under him. The Aggies have lost some valuable defensive linemen going into the 2019 season, including: Kingsley Keke, Daylon Mack, and Landis Durham. They will have to fill in those spots this offseason. They also have one of the weakest secondaries in all of college football. Those are their biggest weaknesses this season. Overall their defense should make a good recovery, but their dline will never be the same.The defense will be carried by the offense, due to all of the losses. On the offensive side of the ball the Ags have lost key players including running back Trayveon Williams, tight end Jace Sternberger, and center Eric McCoy. The majority of the receivers will be returning this season and so will quarterback Kellen Mond. The offense should remain the same powerhouse machine. Mond has Fisher’s full trust, even though he has made big mistakes in key games. 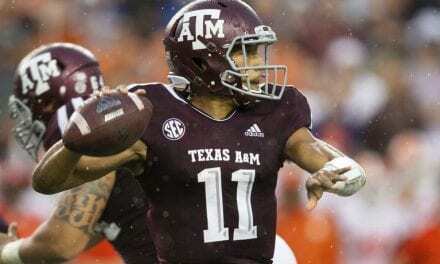 Mond is the best quarterback the Ags have, but that isn’t saying much. It will be very disappointing to have Trayveon and Sternberger leave, but with all the new commits it should be fine. The Ags are ranked third in the top 25 recruiting class. They are only behind Alabama and Georgia. They should receive tons of great new players. With the 9-4 season and the third best recruiting class the “Way Too Early Top 25” has A&M ranked at number 10. 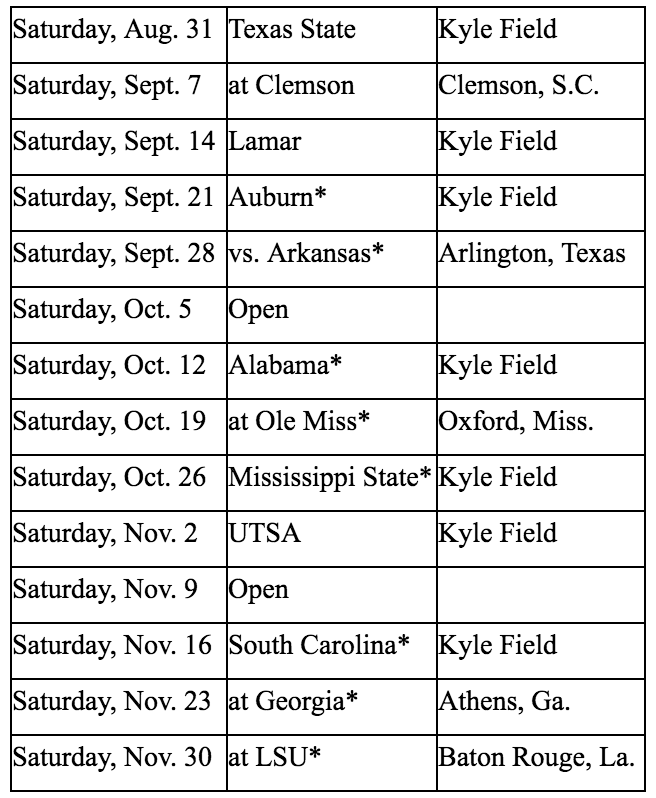 It looks like the Ags will have a great 2019 season due to outstanding recruiting and returning talent.